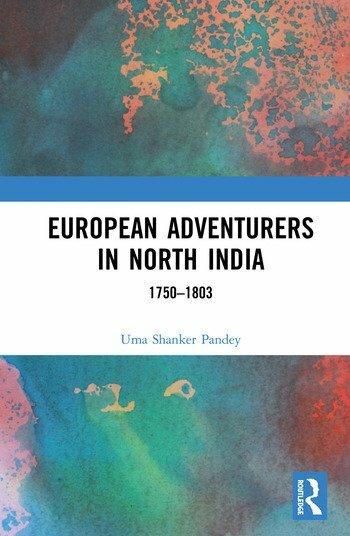 This book explores how European adventurers, particularly French, shaped early modern India. It highlights the significant contributions of these adventurers in social, political, economic and intellectual life of North India in the 18th and the 19th centuries. The author examines how the French adventurers played a key role in bringing Western science and ideas to a polity in flux. He examines the role of individuals like René Madec, Sombre, De Boigne, Perron, Gentil, Canaple, Delamarr, Sonson, and Pedrose, who made instrumental contributions in modernising armies of pre-modern states in South Asia. The volume also underlines how their commercial networks developing from their enterprises opened up markets in the heartlands of north India for European consumers. Further, it brings to the fore intellectual pursuits of the leading French figures such as Anquetil Duperron, Polier, Gentil, De Boigne, and Perron, whose engagement with Indian literature opened a new chapter framing studies of the Occident. Rich in French, English and translated Persian archival resources, this book will be of interest to scholars and researchers of colonial history, early modern history, military history, and South Asian studies. Uma Shanker Pandey, Assistant Professor in the Department of History, Ramjas College, University of Delhi.